Prominend Activator is a palatable UHT milk that is delivered as a liquid and is based on food-grade dairy ingredients to ensure the highest protein quality and thus a highly digestible product. 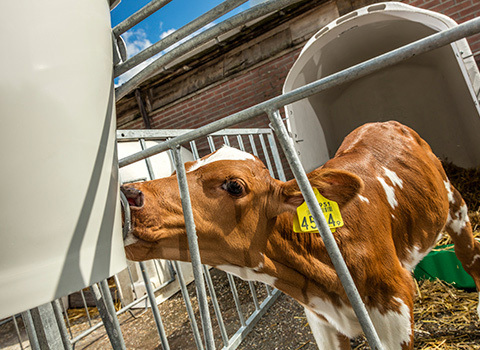 Prominend Activator is designed for calves in all kinds of conditions and administered directly after the colostrum. The product has a shelf life of 12 months unopened and eight weeks opened. It is advisable to provide restricted feed warm twice daily, which guarantees a high feed intake and gives the calves a save start. Prominend liquid products are packed in a bag-in-box: a vacuum plastic bag inside a cardboard box. The plastic bag protects the exceptional nature of the product optimally. A tap in the box allows the milk to be poured either manually or automatically.